We are dedicated to providing you with the best finish possible. That’s why we choose to use Axalta water borne and solvent paint lines..
Axalta has OEM (Original Equipment Manufacturer) approval from the best in automobile manufacturing, including Audi, BMW, Jaguar, Mercedes, and Porsche. 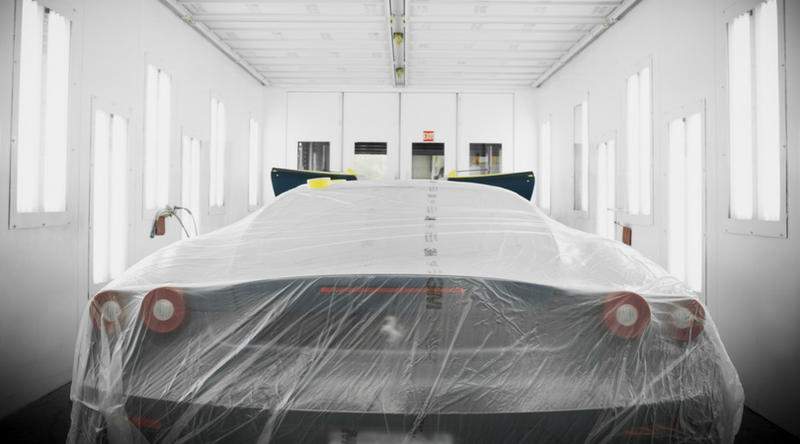 A perfect color match will be achieved so that when your vehicle leaves Magnum Collision Center, it will look like it just came from the factory. or by filling out our form for a Free Consultation! Axalta has OEM (Original Equipment Manufacturer) approval from the best in automobile manufacturing, including Audi, BMW, Jaguar, Mercedes, and Porsche. A perfect color match can be attained so that when your vehicle leaves Magnum Collision Center, it will look as if it has come from the factory. All our refinishing uses OEM approved paint from Axalta. We can match the paint of your vehicle to ensure a flawless finish. No one will know your vehicle was ever repaired. All our refinishing is backed by our Lifetime Warranty. Magnum Collision Center technicians have received factory certified training to ensure you will always get the best finish to your vehicle. Ongoing training keeps them up-to-date with the latest techniques. Our certifications allow us to have exclusive access to the latest manufacturer approved repair processes so that every refinish is an invisible finish. As part of our certification, our tools and equipment are approved by the manufacturer. We believe that by keeping high standards, we can achieve the high quality repair your vehicle deserves. Magnum Collision Center is dedicated to a correct repair of your vehicle. We have created one of the most rigorous Quality Control processes in the industry. After all repairs are complete, your vehicle enters our “QC Row”. Our Quality Control specialists check every repair listed on your estimate. Each item is checked, including the vehicle’s computer, mechanical systems and repair area. Your vehicle is then taken on a test drive before you’re handed back the keys.